Last night we lost Bob. A full obituary by people who knew him better than I will follow, but you didn’t have to know Bob for long to realise what an amazing guy he was. Bob “The Duck” was a larger than life character, – a big man despite his small stature. The smiling face under the familiar hat (often adorned with an oversized plastic duck!) was usually an advance warning of a cry of “how many raffle tickets are you going to buy”. The smile was still there at the last society meeting, though it was obvious that he was desperately ill.
Bob was your man, wherever work was needed, for the BCN Society, for Hawne Basin or for his many friends. Bob was always there, getting stuck in, and getting other people to help as well. He simply didn’t understand the word “No” when it came to getting things done. After a background in the Building industry, Bob took the bold step of creating his own business in 1994 and was constantly surprised that the “thick Brummie builder” (as he called himself) became a highly respected and successful business man. Bob was a devoted family man, and with Joan and their boat Valencia have been familiar sights around the Canal network for many years. Our thoughts and sympathy are with Joan, Debbie and the other members of his family – we have all lost a treasured friend and colleague whose like we may not see again. 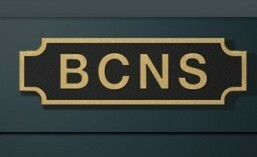 This entry was posted in News and tagged BCN Society, BCNS, Bob Broomhall, Obituary. Bookmark the permalink. I lost touch with Bob and Joan several years ago when I moved abroad and it has been a shock to read that he has passed away. Please pass on my sincere condolences to Joan and the family.